It is hard to establish the century or epoch in which Michele De Lucchi actually belongs. 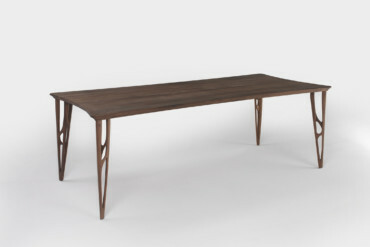 Sometimes his designs are absolutely Modernist, other times they are decidedly contemporary, yet others (made at almost the same time) borrow from history, reference the crafts trade and a traditional idiom. So who is Michele De Lucchi? The last representative of post-modernism left standing, trying to embed the new into a familiar context? Is he a thoroughbred traditionalist perhaps? Or is he a contemporary designer after all, busy seeking solutions that are valid today? 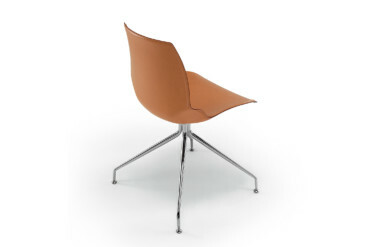 One thing is certain: De Lucchi is an architect and designer who refuses to be pigeonholed. He is shrouded in enigma. 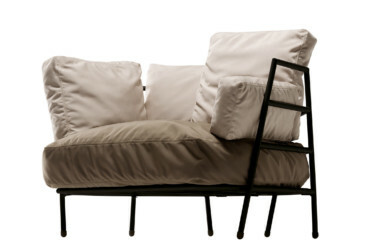 Born in 1951 in Ferrara, De Lucchi headed for Florence, where he studied under Adolfo Natalini, among others. He was never one of the stars. And now “Architektur & Wohnen” magazine has voted him “A&W Designer of the Year 2015”. Which broaches the question: Why did it take so long? 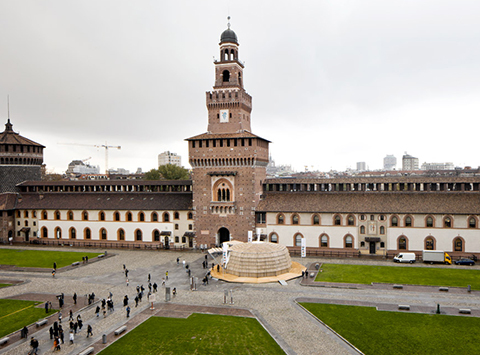 Mind you, the timing could hardly be better: Not only because of Expo Milan 2015, which runs from May through October, and for which De Lucchi has masterminded the pavilions, entrance zones, tables, and much more besides. Indeed, the 63-year-old seems to be the ideal role model of contemporary design par excellence. 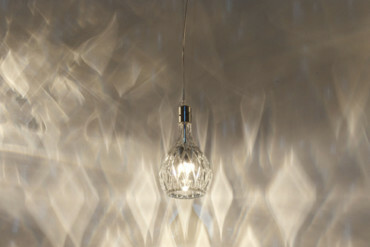 His designs today stand out for their combination of withdrawal and collaboration, experiment and one-off. And his output as an architect is highly diverse. If you leaf through the current issue of A&W (1/2015), in which author Elke von Radziewsky paints a portrait of the “A&W Designer of the Year”, then the photographs by Regina Recht accompanying the story show a man with a long beard who primarily inhabits dark rooms in which warm wood colors prevail. In her intelligent article, which is well worth reading, von Radziewsky describes him as a “man who treads a borderline in his quest for new ideas”. She enumerates the milestones in his life and work. 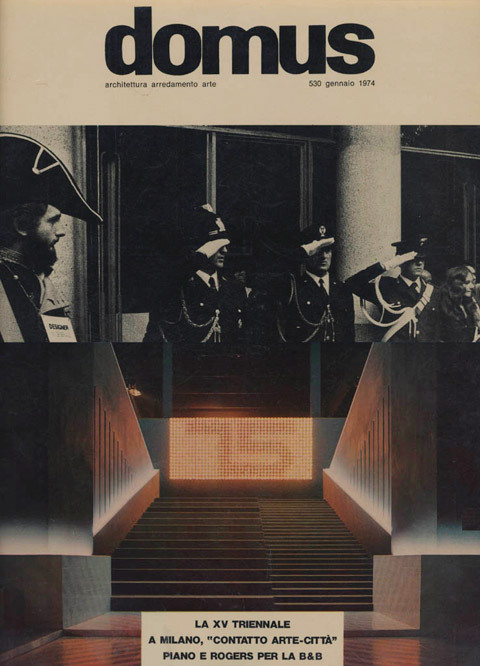 For example 1973, when De Lucchi transformed the opening ceremony for the XV Triennale in Milan into a performance. 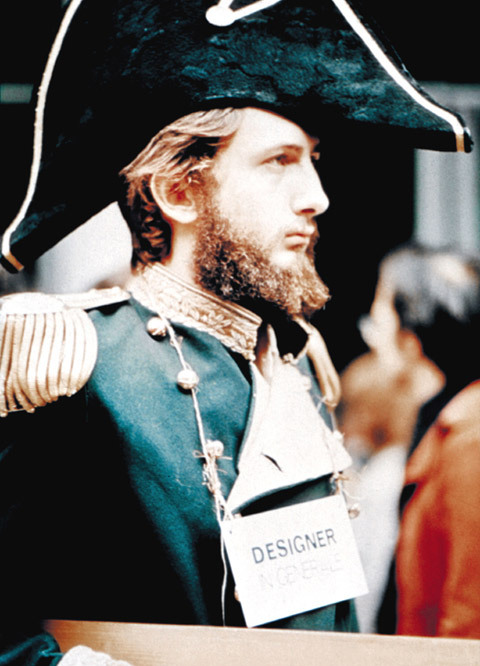 He hung a sign round his neck saying “Designer in generale” and exclaimed: “ascoltate me, ascoltate me: Io sono un designer in generale, e in generale un designer.” He wore the uniform of an admiral and the question was, did it stem from the Risorgimento, that epoch between 1815 and 1870 that gave birth to the Italian state and to this day seems to be an incomplete project? At any rate, Ettore Sottsass and Andrea Branzi, who curated the design section of that Triennale, sat up and took note of the 22-year-old designer. In the mid-1970s, De Lucchi was a member of the “Cavart” group, which advocated radical design and combined Concept art and architecture. They dotted the countryside with wooden frames and turrets clad in drapes that billowed in the wind. By relocating to Milan in 1977 and his friendship in particular with Ettore Sottsass, he became a member of the “Alchimia” group and in 1981 co-founded “Memphis”. Having trained as architects they set out as designers not to simply bow down to what industry wanted. The colors, shapes and textures of their products formed a recognizable semiotic system that the emerging media society was more than pleased to welcome. In the course of the 1980s, the shock of the new that “Memphis” had unleashed slowly became muted. 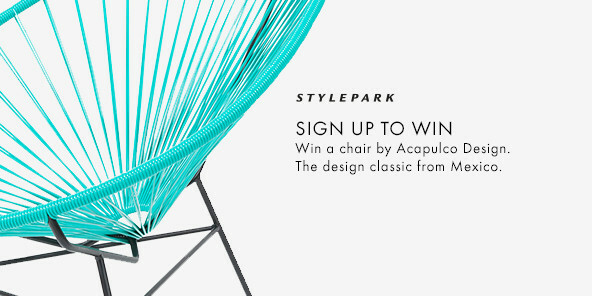 At the same time, a new, more profound form of collaboration evolved between designers and entrepreneurs, who like the designers had an interest in a reinterpretation of design. Unlike the practice in many corporations today, they did not delegate design to the marketing department, but took charge of it themselves. In Italy they included the likes of Ernesto Gismondi and Alberto Alessi. 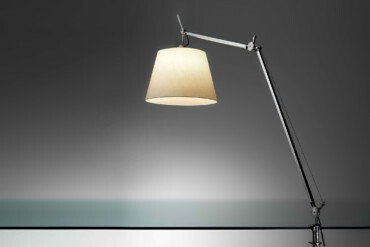 For Gismondi and thus for Artemide, in 1986 (together with Giancarlo Fassina) Michele De Lucchi designed the “Tolomeo” desk lamp. 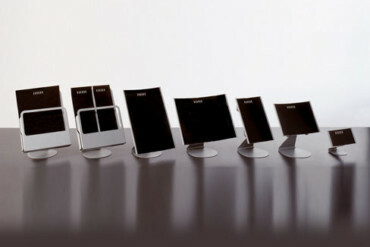 Today it still sells about 500,000 units a year, and now comes as an entire family of luminaires. 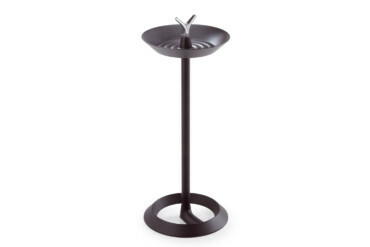 It is characterized by springs that are hidden, a visible cable that holds the adjustable arm in place and the swivel shade of brushed aluminum, into which the lamp was originally screwed in horizontally. De Lucchi described this tersely as “frugal technology”. 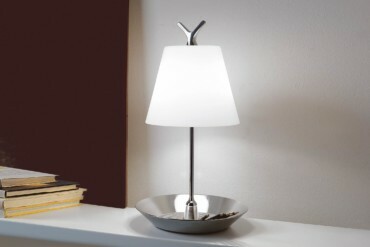 Today there are versions for halogen lamps and for LEDs. 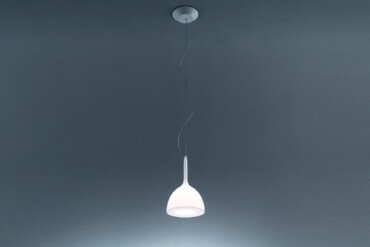 The luminaire gave De Lucchi material independence of a kind rare among designers. He continued to work with Sottsass, who brought him on board at Olivetti in 1979 as a member of the office furniture design team. 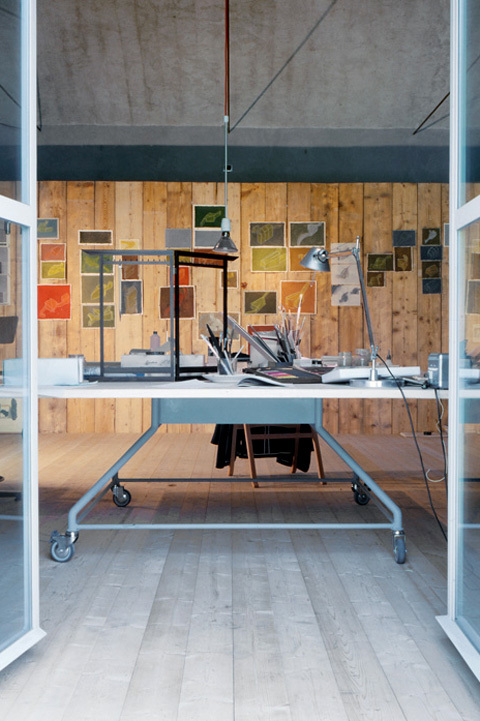 In 1992, De Lucchi was appointed head of Olivetti’s external design team. 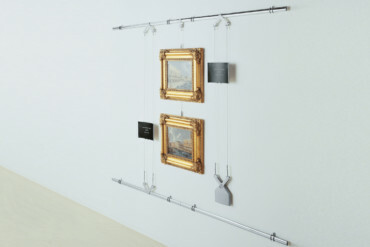 While the design scene was busy speculating whether now, at the beginning of the 1990s, a new “Memphis” was long since overdue, De Lucchi arrived at different conclusions: He started manufacturing his “Produzione Privata” in labs for ceramics, marble, wood and metal for “minimalist machines”, ready-mades and hand-blown glass. 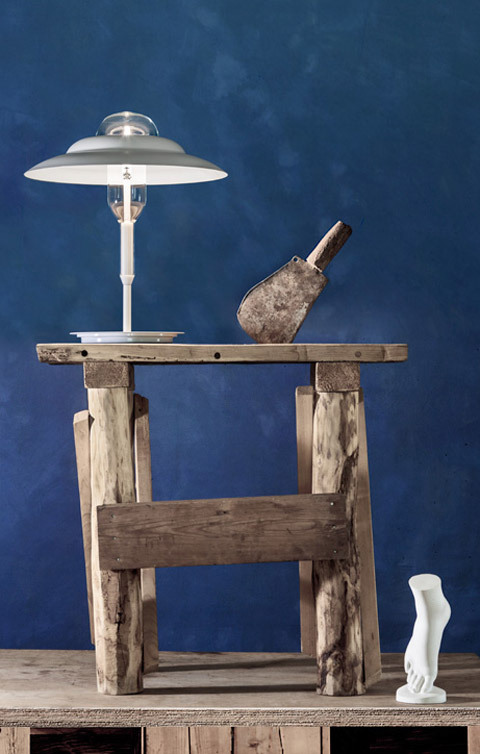 With the help of designers and craftsmen he created a collection of limited-edition luminaires, furniture and objects that enables him to simply ignore the usual restrictions of mass production. Escapism? Fleeing the everyday world as it really is? It is at least a temporary withdrawal, an antipode. 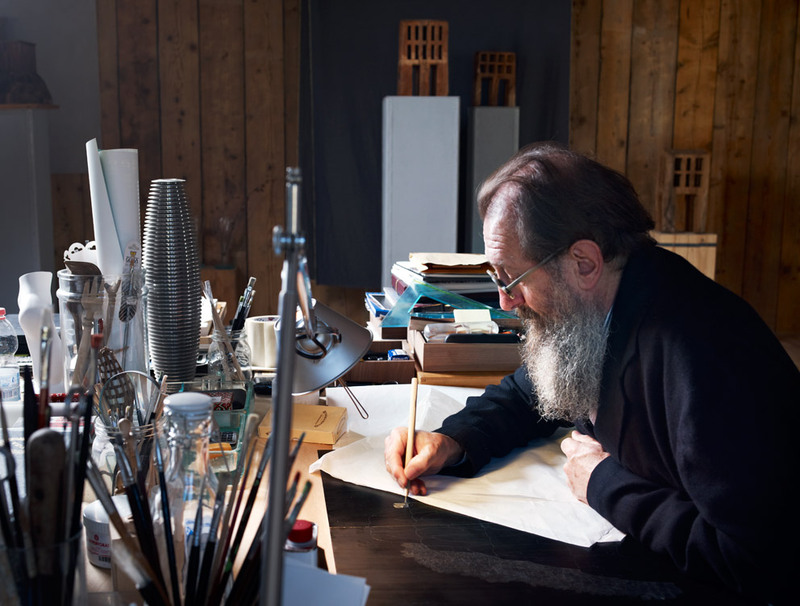 Alongside the reality of urban design machines, the Milan open-plan office with many young designers and architects from all over the world, Michele De Lucchi lives with his family in Angera in Varese in his crafts, experimentation, residence, drawing and collecting hub, “Il Chioso”. 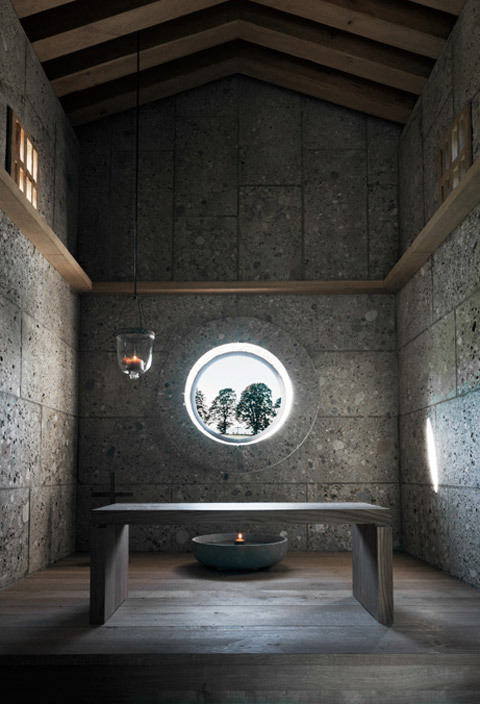 However, this friendly, almost monastic retreat is an indispensable part (albeit not the sole one) of the lifeworld of a man whom A&W editor-in-chief Barbara Friedrich describes as a “gesamtkunstwerk-maker”. Michele De Lucchi has repeatedly changed strategy, partners, and the focus of his work, and not always voluntarily. The Japanese deflation crisis brought his projects there to an abrupt halt. The high-end branch-office concepts he later dreamed up for Deutsche Bank and Deutsche Bahn (for a long time he worked on these projects together with German designer Torsten Fritze and British architect Nick Bewick) have been abandoned in the age of digitalization or sacrificed to substitutes that are far more rough and ready. The construction experiment with design enthusiast President Micheil Saakashvili, who tempted the architect to work in Georgia from 2004 and 2013, has also since been terminated. 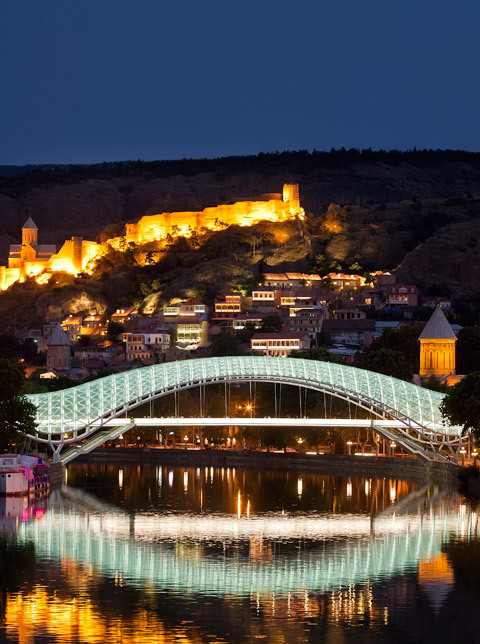 One of De Lucchi brainchildren: the “Bridge of Peace” in Tiflis, illuminated brightly at night by LEDs; ministries with curtain façades that resemble skins, such as also graces the control tower at Batumi Airport. At that seaside town he also designed an undulating hotel sky-rise that boasts a great view of the sea and is now owned by the SAS chain. Today, one of the all-rounder’s specialties is cultural edifices for settings that are subject to preservation orders. 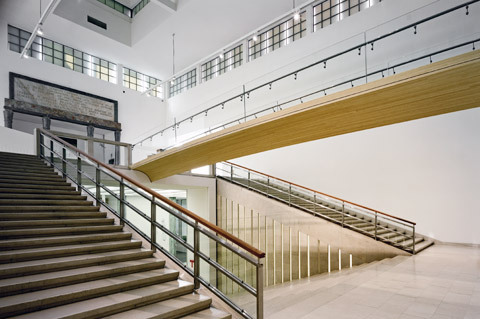 He integrated a dismountable bamboo bridge into Milan’s “Palazzo del Arte” at the Triennale – as the main entrance to the design museum. For Milan’s Piazza della Scala he was commissioned by Bank Intesa Sanpaolo to create the “Gallerie D’Italia” museum which houses collections of 19th- and 20th-century paintings and to which end four important town palaces were linked – among others by De Lucchi’s new and very modern exhibition architecture. In Berlin De Lucchi was responsible for the interior and graphic design for the “Neues Museum” masterminded by David Chipperfield. 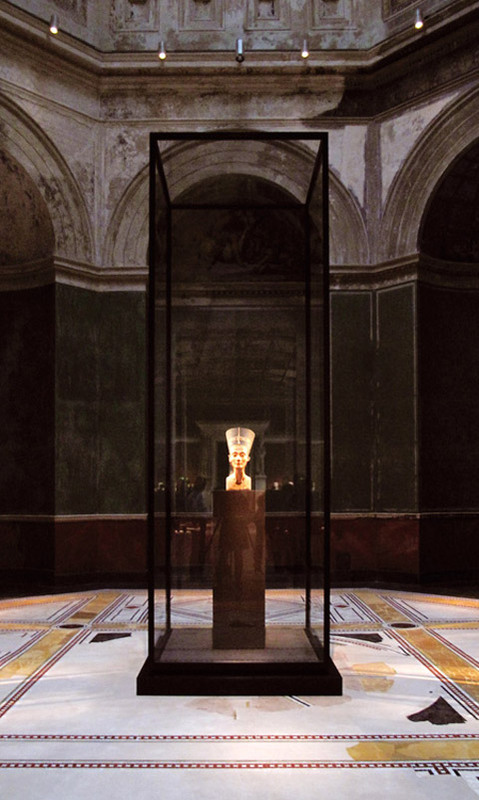 What few visitors know is that the famed bust of Nefertiti is now housed in a minimalist, clear four-meter-high showcase design by – Michele De Lucchi. The “Manica Lunga” library on Isola San Giorgia in the Venice lagoon is another of his outstanding projects, as is the restoration of S. Giorgio in Poggiale in Bologna, which is now home to the foundation’s library. People walking the Pilgrim’s Road to Santiago de Compostela can rest in the small Jacob’s Chapel in the German town of Fischbachau. 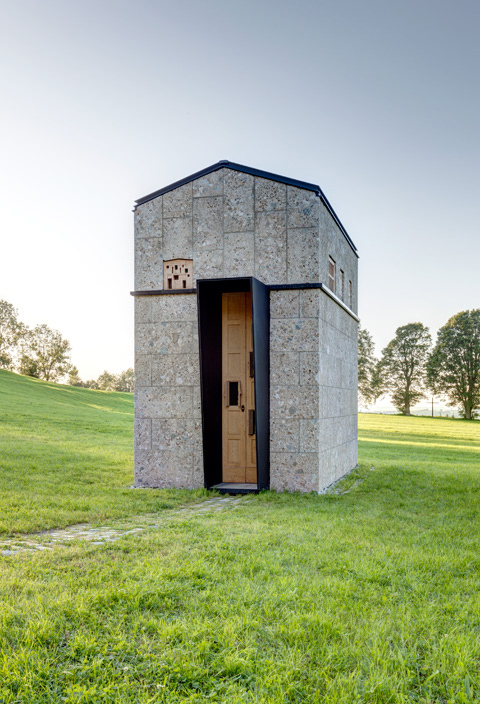 It stands on private property, is built of stone, and has windows made of experimental wooden structures that De Lucchi loves to make himself using a chainsaw. Transient and eternal, crafted but involving technology. 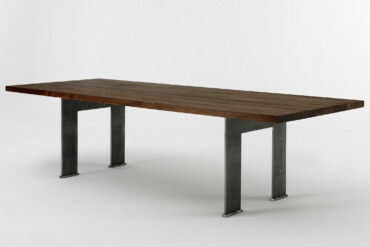 A typical Michele De Lucchi idea that thoughtfully causes the past and the present to meld. A place of worship and one that offers a view of a world that on occasion seems to have lost its sense of balance and proportion. 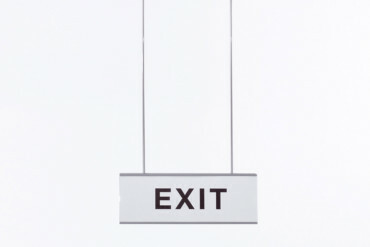 The entry walkway to the Triennale Design Museum can be dismantled in one day. 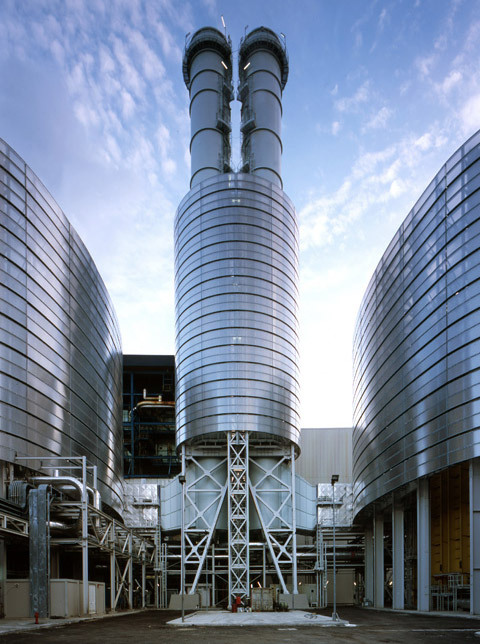 For the Italian energy giant De Lucchi has created the power station in Priolo in Sicily. Insight of the Jacob's chapel that was constructed between 2003 and 2007.